Balkan music has become famous in recent years because it's been featured in movies from directors like Emir Kusturica, or because musicians, like Goran Bregovic, have used it in their albums. But Saban Bajramovic, who had sung this music since he was a child, ironically died poor and sick, even though he had influenced a generation of musicians. Born in 1936 and died in 2008 in the Serbian city of Nis, Bajramovic, like other gipsy musicians, learned romani style singing with older people in the streets . 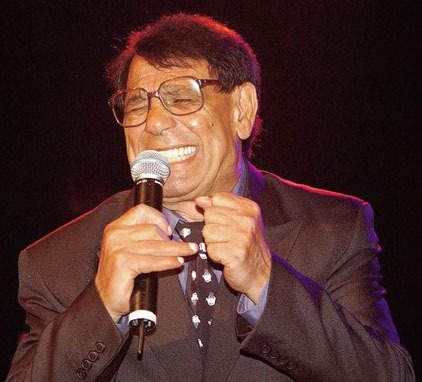 Known for his powerful and heartbreaking voice, Bajramovic is considered the king of gipsy music. The following song was procclaimed the international gipsy anthem during the First International Gipsy Congress. Its title means "I walked, walked" and it's related to the nomadic nature of gipsy people. This song is the first version of the famous song "Mesecina", by Goran Bregovic, which was included in the soundtrack of the movie "Underground".